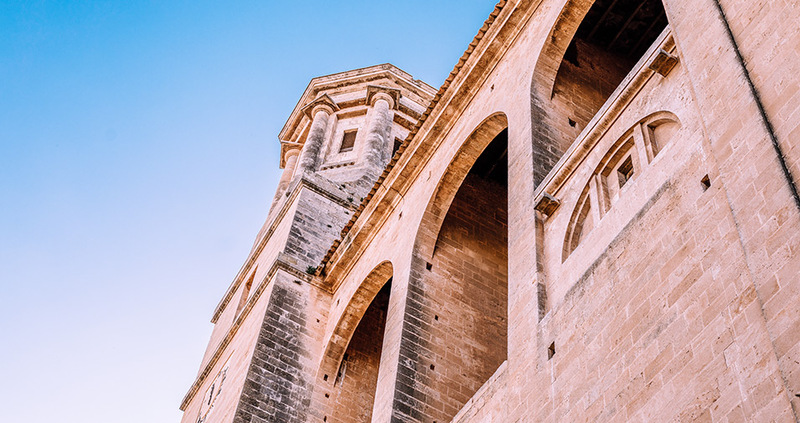 Located inland from the south coast, Llucmajor heads up the largest geographical municipality in Mallorca and is often overlooked compared to more glamourous neighbouring resorts. 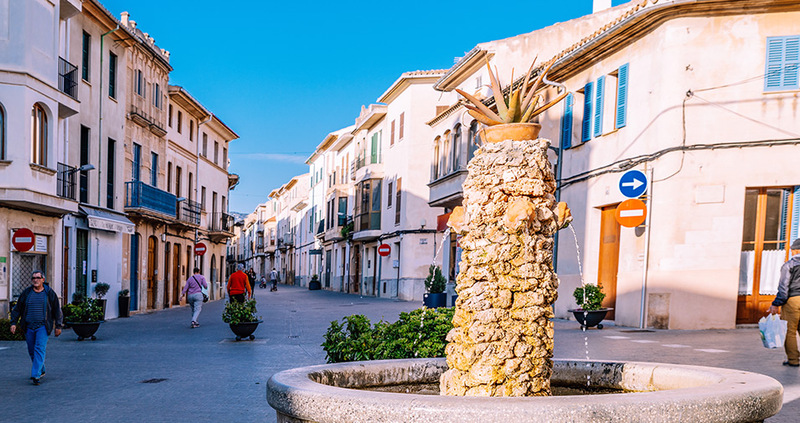 Find out what you could be missing with our abcMallorca guide, particularly if you plan on living in Mallorca or are looking for a central location to explore the island. 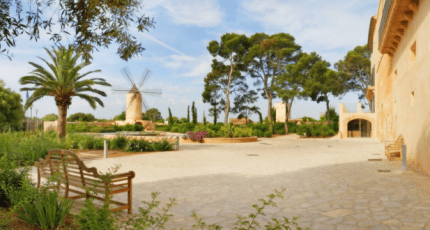 Earliest settlements in this area include the Talayotic site of ‘Capocorb Vell’ which you can still visit today and is the oldest archeological site in Mallorca. Records of Llucmajor town date back to 1259 when the first church was erected. In 1349 the battle of Llucmajor was fought between James II of Mallorca and Peter IV of Aragon and resulted in independence for the island. The town later came into prominence as an industrial centre and thrived economically in the 20th century from shoe-making and excellent craftsmanship in stone, iron and wood. There is also a strong agricultural tradition here and apricots and almonds still grow in abundance around the town. Today Llucmajor still enjoys a thriving community which does not rely wholly on tourism and so is fairly active all year. One of the major benefits of Llucmajor is its location. Based at the foot of the Randa hills, the town has excellent motorway access and is very close to both the international airport of Son San Joan and the city of Palma. It is also close to several major resorts and is surrounded by farmland and charming rural hideaways with mountain and forest views. Llucmajor is a medium sized town with city status and all the amenities and facilities you will need for everyday living. 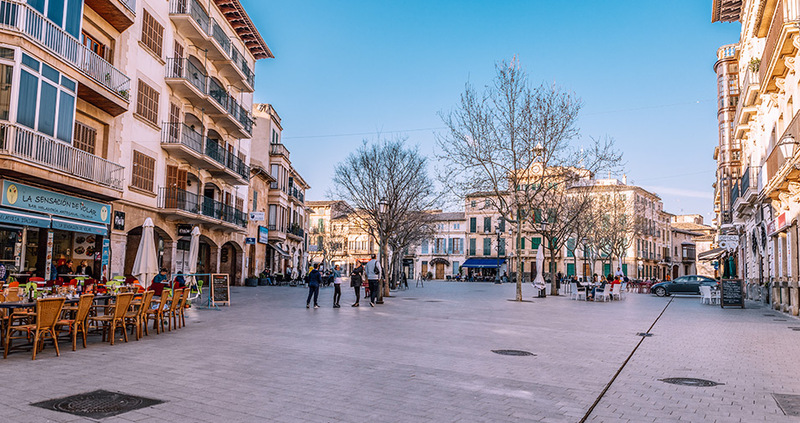 Its proximity to Palma, which lies just 30-minutes away on a direct route along the highway, also provides access to the best shopping Mallorca has to offer. 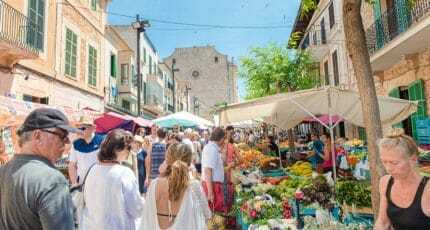 If you are visiting Llucmajor in September there are several fiesta weekends which include a large market for local produce and crafts. The regular weekly market is held on Sunday. The town of Llucmayor has many buildings of historical interest which is a testament to its rich and varied heritage. 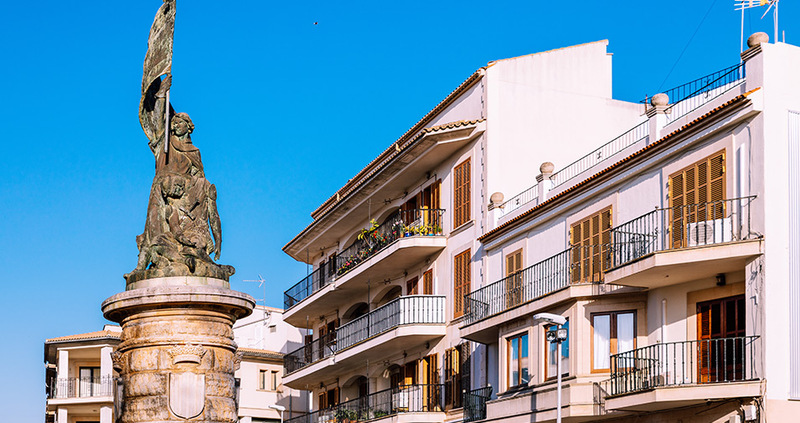 Just some of the most notable of these include: the Town Hall in Placa d’Espanya, the 18th century Church of San Miguel in Placa Santa Catalina Tomas, the Baroque convent of St Bonaventure, the shoemakers memorial at the western town gate and a memorial for James III on the Passeig Jaume III. 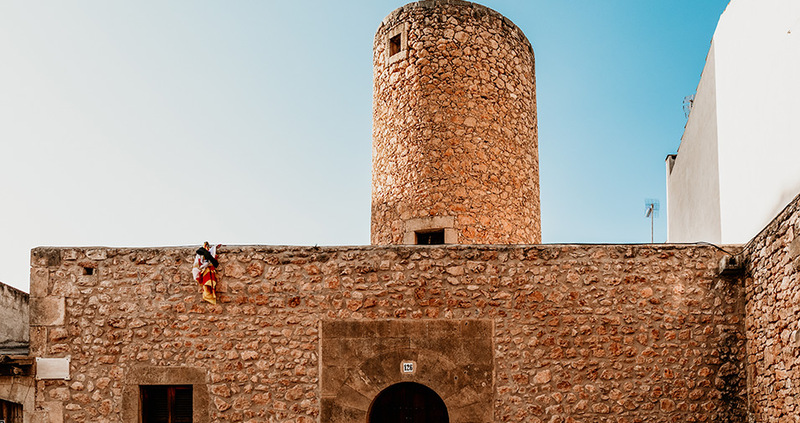 There is a notable lighthouse at nearby Cap Blanc and a hilltop Sanctuary called ‘Santuari de Cura’ which boasts fabulous views from the Randa hills. The convenient location of Llucmajor means that there is much to see and do in the surrounding areas. Llucmajor is a haven for history buffs with its many sites and buildings of interest. 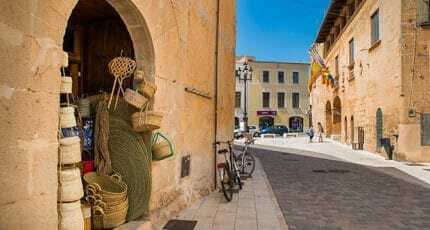 It is also an excellent choice for a holiday if you want to explore authentic Mallorcan culture and avoid the crowds of tourists in more popular locations. Hiking and biking is very easy in this area with its quiet streets and gentle hills. There is also a major golf resort within 5 kilometres. The nearest beach is only 10-minutes’ drive away and Llucmajor also allows easy access to many notable coastal destinations including the renowned natural beach of ‘Es Trenc’. The town is also well-placed for nature lovers who prefer to just enjoy the countryside. 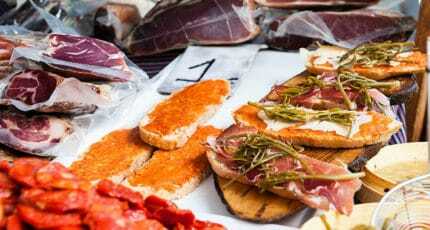 There are many restaurants to choose from within the town and those in search of more sophisticated gastronomy can enjoy some of the excellent food available at nearby boutique hotels in rural locations. 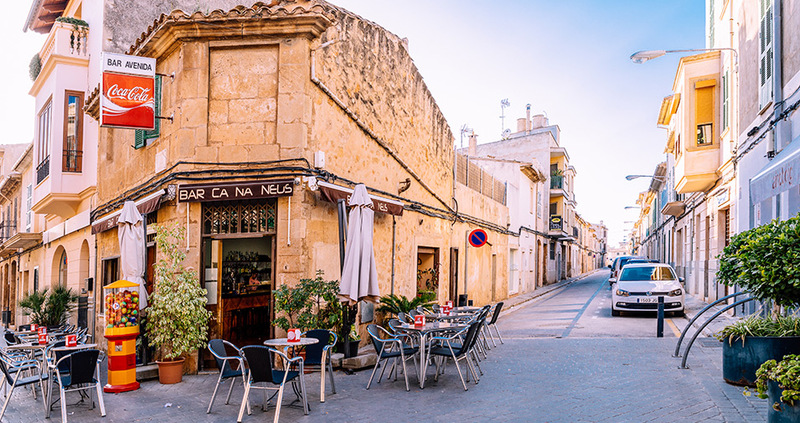 For the more adventurous, the city of Palma offers even more choice for fine dining. Llucmajor offers a wide range of accommodation within the town but those in search of a truly relaxing and luxurious experience might wish to consider one of the beautiful boutique or rural hotels within close proximity. 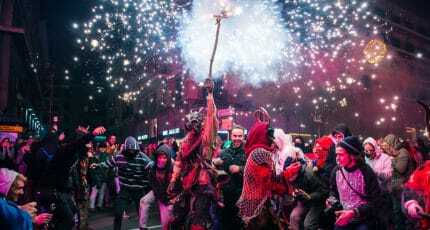 Llucmajor celebrates many of the usual Spanish fiestas, but is somewhat overshadowed by the many events held in Palma central. There is a celebration of local produce, arts and crafts held over many weekends in September. Llucmajor is attractive to many residents because of its convenient location and the comparatively low property prices. 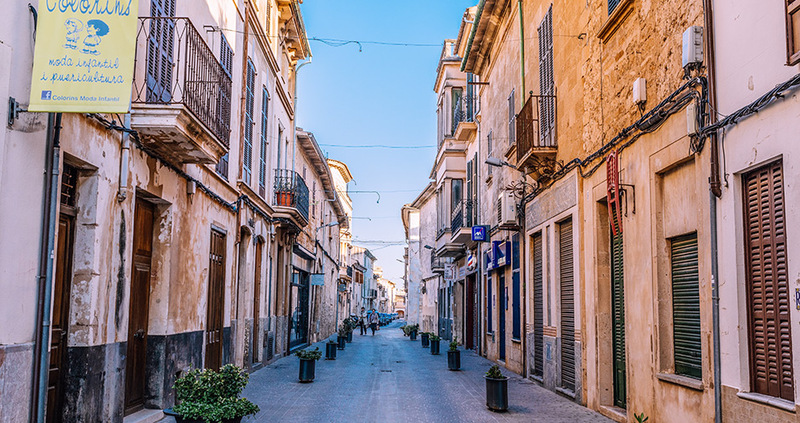 The town is active all year round and although enjoying a good international mix of residents is predominantly populated by locals. 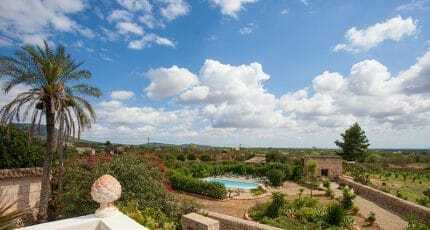 If you are looking for a finca with a generous plot and close proximity to Palma and the airport, Llucmajor would be an excellent choice. Llucmajor has a great deal to offer home-hunters. 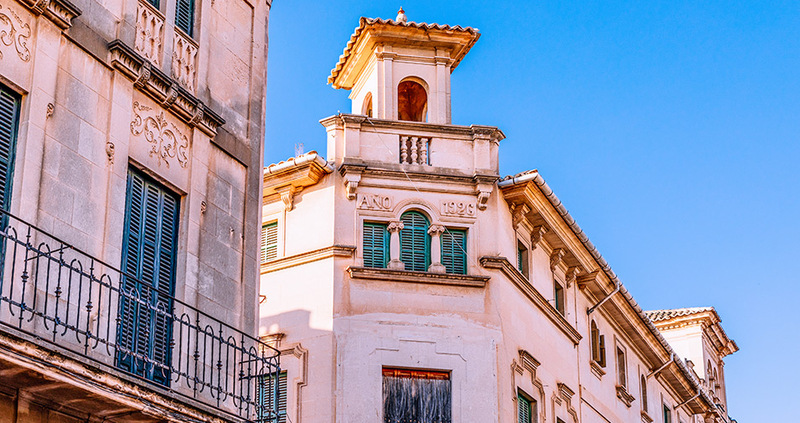 There is usually a very wide selection of property types available including bargain town houses for less than 100,000 euros to extensive rural estates at over 8 million euros. Expect to pay from 300,000-600,000 euros for most property types including apartments, penthouses, townhouses and fincas. Historic properties in good order and designer-architect villas will still secure a multi-million price tag as is typical with the rest of the island. The major benefit of living or staying in Llucmajor is the easy access to a wide range of different locations. 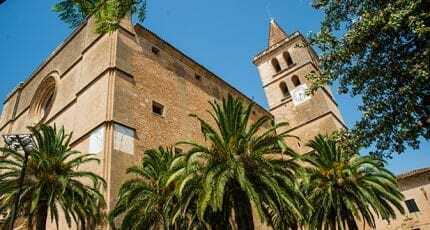 The busy capital of Palma is within easy travelling distance as is the busy resort of S’Arenal. 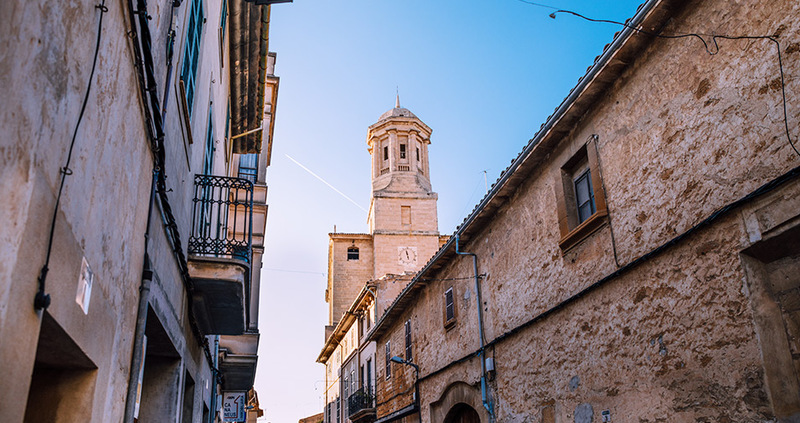 The rural towns of Campos, Porreres, Randa and Algaida are also close by. Llucmajor is also close to many small beaches and hidden coves on the south coast. 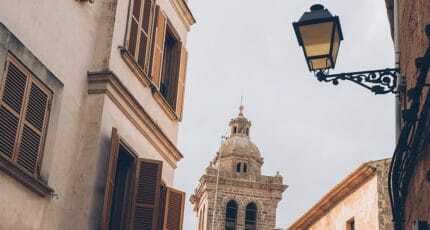 We hope you have found this article about the Llucmajor useful and that you have many memorable stays in Mallorca as a result of our recommendations.